Ensemble forecasts from dynamic seasonal prediction systems (SPSs) have the potential to improve decision-making for crop management to help cope with interannual weather variability. Because the reliability of crop yield predictions based on seasonal weather forecasts depends on the quality of the forecasts, it is essential to evaluate forecasts prior to agricultural applications. This study analyses the potential of Climate Forecast System version 2 (CFSv2) in predicting the Indian summer monsoon (ISM) for producing meteorological variables relevant to crop modeling. The focus area was Nepal’s Terai region, and the local hindcasts were compared with weather station and reanalysis data. 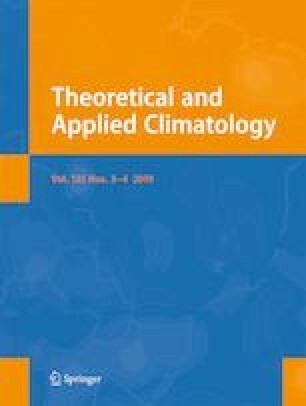 The results showed that the CFSv2 model accurately predicts monthly anomalies of daily maximum and minimum air temperature (Tmax and Tmin) as well as incoming total surface solar radiation (Srad). However, the daily climatologies of the respective CFSv2 hindcasts exhibit significant systematic biases compared to weather station data. The CFSv2 is less capable of predicting monthly precipitation anomalies and simulating the respective intra-seasonal variability over the growing season. Nevertheless, the observed daily climatologies of precipitation fall within the ensemble spread of the respective daily climatologies of CFSv2 hindcasts. These limitations in the CFSv2 seasonal forecasts, primarily in precipitation, restrict the potential application for predicting the interannual variability of crop yield associated with weather variability. Despite these limitations, ensemble averaging of the simulated yield using all CFSv2 members after applying bias correction may lead to satisfactory yield predictions.